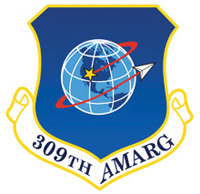 Mission: AMARG has six major mission elements in direct support of the warfighter — the highly skilled 700-member workforce regenerates aircraft (restoring aircraft to flight capability); performs limited depot-level maintenance, complementing the Air Logistics Complexes; and accomplishes aircraft parts reclamation. These are in addition to its historic storage and disposal functions. Its latest mission is the financial improvement and audit readiness management. Description: The group, aligned under the Ogden Air Logistics Complex at Hill AFB, Utah, is a major industrial facility occupying 2,600 acres (four square miles) and managing an inventory of approximately 4,000 aircraft, representing approximately 80 different weapon systems. The acquisition value of these aircraft is approximately $35 billion. AMARG also stores 650,000 line items of aircraft production tooling; these are jigs, dies, forms and other tooling used to build aircraft components prior to assembly. History: AMARG traces its heritage back to 1946 when the 4105th Army Air Base Unit was established to store and manage vast numbers of surplus World War II aircraft, but the group has since evolved. Today, AMARG has five major mission elements in direct support of the warfighter — the highly skilled 620-member workforce restores aircraft to flight capability; performs limited depot-level maintenance, complementing the air logistics complexes; and accomplishes aircraft parts reclamation. These are in addition to its historic storage and disposal functions. 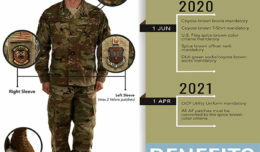 Mission: Organize, train, and equip Guardian Angel, and supporting forces for rapid deployment, and execution of full-spectrum personnel recovery operations in support of national security objectives across hostile, uncertain, and permissive environments that support air power from the ground up. Vision: Develop a combat-ready organization with the agility to plan and employ high-risk technical rescue capabilities by exploiting the multi-domain environment through inspiring leadership and innovation as a superiorly trained, best maintained, and a most capable squadron of personnel recovery experts in the world. Description: The 48th RQS consists of approximately 115 pararescuemen; combat rescue officers; survival, evasion, resistance and escape specialists; and combat support personnel. The 48th RQS personnel has received hundreds of air medals, numerous combat action medals, and several Bronze Stars and Distinguished Flying Crosses. Mission: Ensure rapid mobilization of HH-60G and HC-130J aircraft, and maintenance forces supporting combat/peacetime combat search and rescue operations. Vision: Develop and embody an environment of empowered Airmen postured to achieve excellence, pride, and professionalism through two basic tenants … readiness and compliance. Description: Maintains, services and inspects seven HC-130J and nine HH-60G aircraft. Plans, schedules, and directs scheduled and unscheduled maintenance to ensure mission-ready status. 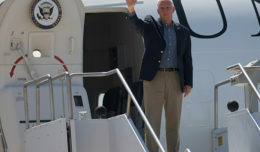 Rapidly mobilizes and deploys aircraft, equipment, and forces to provide combat and peacetime personnel recovery operations in support of U.S. national security interests. 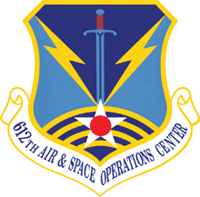 Provides direct maintenance support for the 79th RQS and 55th RQS unit type codes as well as the 48th RQS Guardian Angel UTCs. 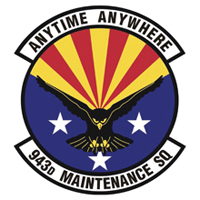 History: Constituted as 923rd Maintenance Squadron on May 29, 1951, and activated in the Reserve Aug. 14, 1951. 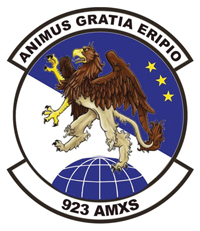 The 923rd MXS redesignated March 4, 2010, to 923rd Aircraft Maintenance Squadron and activated March 20, 2010. Mission: Provide organic maintenance of six HH-60G aircraft to primarily support all 305th Rescue Squadron flying operations and contingencies. 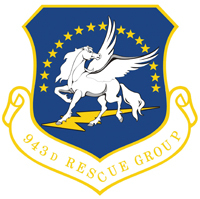 Supports 943rd Rescue Group’s deployment and exercise activities and ensures assigned aircraft, equipment and personnel are ready to deploy to conduct combat rescue operations globally. Vision: Building the most effective, well-equipped, highly trained, proficient and sought-after combat rescue maintenance organization in the Air Force. Description: There are approximately 100 personnel assigned, consisting of seven civilians, 42 Air Reserve technicians, and 45 traditional reservists. Mission: Maintains combat-ready status with six HC-130J aircraft and provides rapidly deployable, expeditionary personnel recovery forces to combatant commanders for contingency/crisis response operations worldwide. 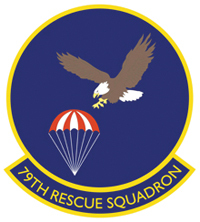 The 79th Rescue Squadron specializes in the rescue of isolated personnel from austere airfields in denied territory using night vision goggles, and also conducts adverse weather, low level, airdrop, air land, helicopter air refueling and forward area refueling point operations. Vision: Combat-ready and adaptive personnel recovery unit ready to fulfill combatant commander needs across the range of operations, from contested combat operations to permissive humanitarian assistance, driven by exceptionally trained, innovative, and motivated personnel. They are flexible, prepared and accountable experts. Recent history: Supported rescue and recovery operations in support of hurricanes Harvey, Irma and Nate and were on standby for Hurricane Maria. More than 1,400 people and 90 animals were saved in support of Harvey in Texas. Description: There are three squadrons, three flights and one geographically separated unit. The group is equipped with six HH-60G “Pave Hawk” helicopters to support worldwide combat rescue operations. Mission: Plan, command, control, execute, and assess air, space, and information operations to meet Secretary of Defense, Chairman of the Joint Chiefs of Staff, and commander, United States Southern Command taskings across the full spectrum of military operations. Vision: The innovative leader of AOCs for real-world execution and operational testing in air, space and information operations to support national military strategy. 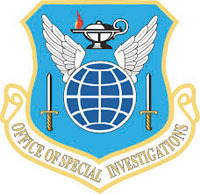 Mission: Provide the world’s best operational integration and support to the Air Force’s premier rescue group by enabling mission accomplishment through exceptional intelligence, plans, scheduling, training and aerial delivery support in a coordinated effort to guarantee successful worldwide operations. Vision: Diverse group of rescue professionals who are well-trained to lead and prepared to support full spectrum personnel recovery operations anywhere in the world. 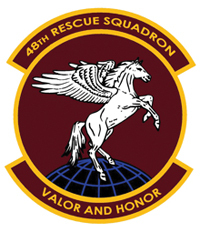 Description: Supports all aspects of the training and employment of the 563rd Rescue Group’s six combat-ready HC-130J, HH-60G and Guardian Angel squadrons. 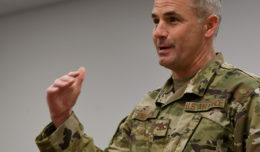 The unit contains more than 100 civilian and military personnel at Davis-Monthan AFB, as well as a 27-member geographically separated operations support detachment at Nellis AFB, Nevada. It provides all operations support functions including weapons and tactics, current operations, intelligence, training, aircrew flight equipment, SERE, medical support, aerial delivery, mobility and flying hour program management. As a worldwide deployable unit, it also is responsible for implementing contingency and theater war plans. 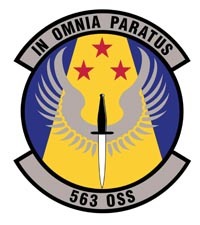 History: Constituted as the 3D Station Complement Squadron under 3D Air Force April 5, 1943, and activated April 10, 1943, and later reconstituted and redesignated as the 563rd OSS under the 23rd Wing’s 563rd RQG July 29, 2003. 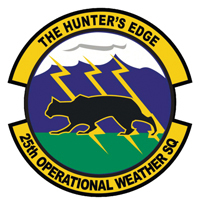 Mission: To provide weather support to military operations in the western United States as well as in U.S. Southern Command’s area of responsibility. Additionally, the 25th OWS produces aviation hazard forecasts for flight levels above 18,000 feet and surface weather analysis across the entire U.S. Northern Command area of responsibility. Vision: Science-based, decision-quality weather information for those we support in today’s fight … with an innovative mindset for tomorrow’s … by an organization and its Airmen that are integrated, balanced and resilient. Description: There are more than 150 active-duty and civilian personnel. Mission: To organize, train and equip Air Force rescue to rapidly deploy and execute personnel recovery missions worldwide in support of national security objectives. 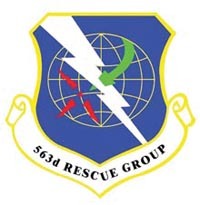 Description: Directs flying operations for one of only two active-duty Air Force rescue groups dedicated to personnel recovery. The group is responsible for training, readiness and maintenance of one HC-130 squadron and two HH-60 squadrons, two Guardian Angel squadrons, two maintenance squadrons and an operations support squadron operating from two geographically separated operating locations. 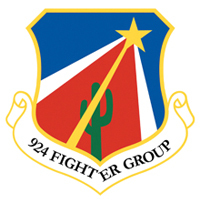 The group is a geographically separated unit of the 23rd Wing located at Davis-Monthan Air Force Base. Mission: Forge the world’s most lethal attack pilots: Mission, Airmen, Family. Vision: To be the benchmark of total force flying training and maintenance excellence. Description: Consists of three units: the 924th Maintenance Squadron, the 47th Fighter Squadron, and the 924th Operational Support Flight, which collectively employ 550 members in more than 20 Air Force specialty codes. The 924th FG is the only unit-equipped formal training unit in Air Force Reserve Command with 28 A-10C Thunderbolt II aircraft. They train and produce qualified A-10 pilots for theater commanders worldwide, and have graduated 29 A-10 pilots since program production stood up as unit-equipped in 2014. History: Established in 1962 as the 924th Troop Carrier Group under Continental Air Command at Ellington Air Force Base, Texas. The unit was realigned Oct. 1, 2012, under the 944th FW, Luke AFB. The group is charged with working with the Regular Air Force’s 355th FW to functionally integrate with the 355th OG and 355th MXG to conduct A-10 pilot training at D-M.